Not Yet Members Get Your Tickets From Eventbrite for $22.29 Or Pay $25 at the Door. Decade after decade, it seems like real estate keeps coming through. While any asset class can have a down year – or even several down years in a row, as the real estate investment community saw 10 years ago – real estate remains a proven long term wealth generator year after year, decade after decade, and generation after generation. Self-directed IRAs allow individuals to use their IRA funds to purchase rental property, rehabs/flips, private mortgages, tax liens, and much, much more. By using a self-direct IRA, an investor can utilize this “new” bucket of cash to acquire assets that they can better control and thus drive better returns to their IRA. Best of all, the gains from these investments go back to the IRA without any tax implications. But it is very easy for you to own real estate assets of all kinds within a self-directed IRA – even direct ownership of rental properties. 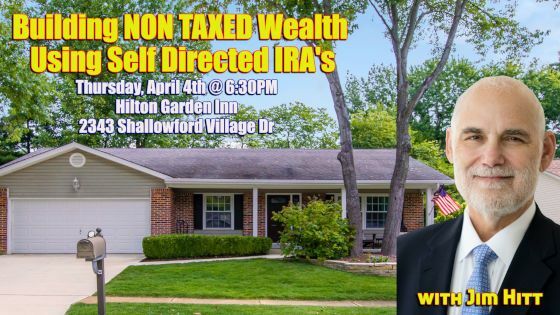 On Thursday, April 4th, 2019 at 6:30 PM at Hilton Garden Inn, 2343 Shallowford Village Dr, Chattanooga, TN, we will have as our very special guest, Jim Hitt of American IRA. Jim Hitt maximizes profits by blending his two passions, self-directed IRA investing and real estate investing, to create great tax advantaged wealth. Jim is the CEO and Founder of American IRA, a national Self-Directed IRA services provider. What is a back door Roth IRA? Jim founded American IRA in 2004 and New Vision Trust Company in 2017. Jim has also been a licensed real estate broker in the state of California for over 40 years and an active real estate investor who has participated in over 6,000 real estate transactions with a current portfolio of over 50 rental properties. Jim has participated in the acquisition and development of single family homes, multifamily homes, commercial buildings, private offerings, mortgage lending, businesses, joint ventures, partnerships, limited liability companies and more. Throughout Jim’s investing career, he has employed various creative financing strategies including private lending, owner financing, hard money lending, and more. 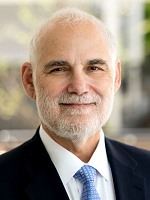 Jim has also taught investing techniques in North and South Carolina at UNC Asheville, AB Tech, and Lorman Educational Services. In addition to this presentation, there are numorous opportunities to network with other investors as well as businesses that are geared toward real estate investors. RSVP NOW and join us at the Chattanooga REIA Main Monthly Event from 6:30PM to 9:30PM on Thursday, April 4th at Hilton Garden Inn, Hamilton Place, 2343 Shallowford Village Pkwy, Chattanooga, TN.